Directory and listing wordpress themes and templates are designed perfectly to meet the present day web requirement. 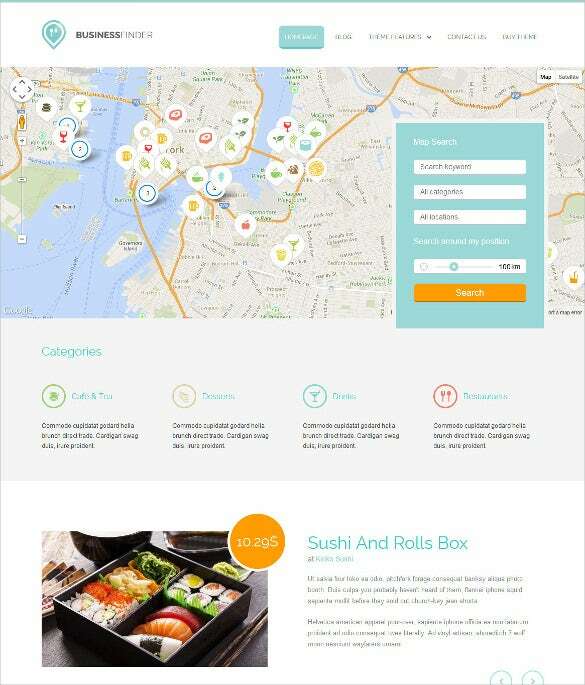 These templates are 100% responsive and go well with any of the modern day browsers. 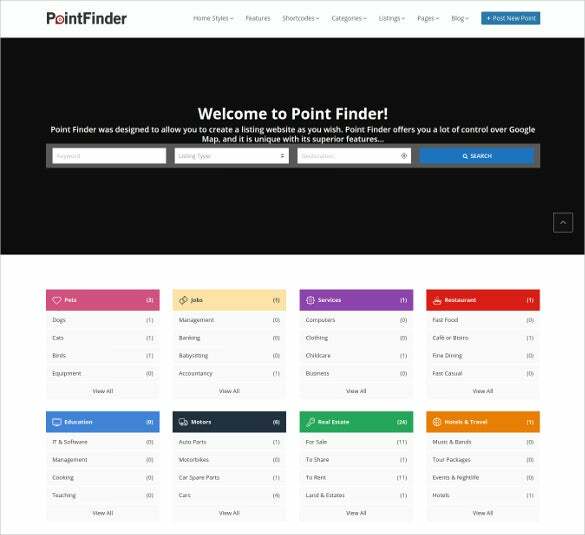 These templates are suitable for directory and listing sites and takes minimal time to get installed.You may also visit Directory & Listing PSD Themes. 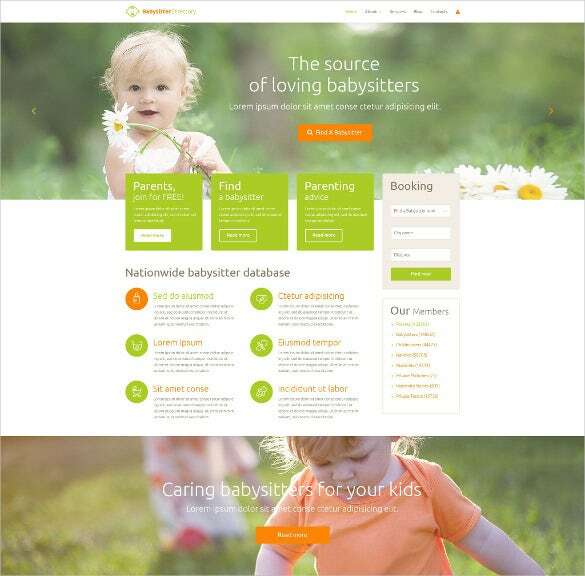 Babysitter Directory & Listing is a responsive wordpress theme where you can list job especially for babysitters, nannies and parents, You can easily change the theme color, it also has a lot of shortcodes. 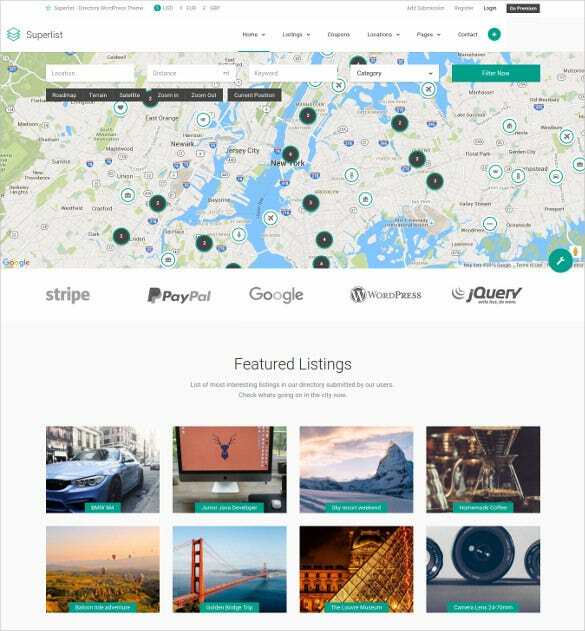 Friendly Directory & Listing ia a WordPress responsive Theme which create, manage and monetize a local, national or a global directory site. 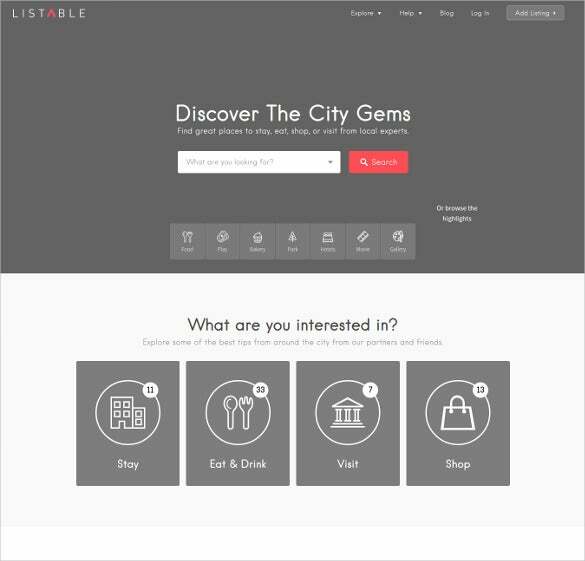 Here you can set your own goal and list your favourite spots online. 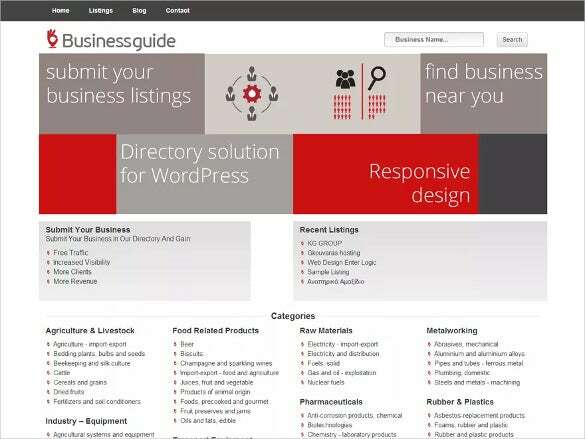 Business Directory is a responsive Directory WordPress Template which can be used to list any type of business entity or activity. It allows you to build local/national directories, Yellow-Pages style business directories, etc. 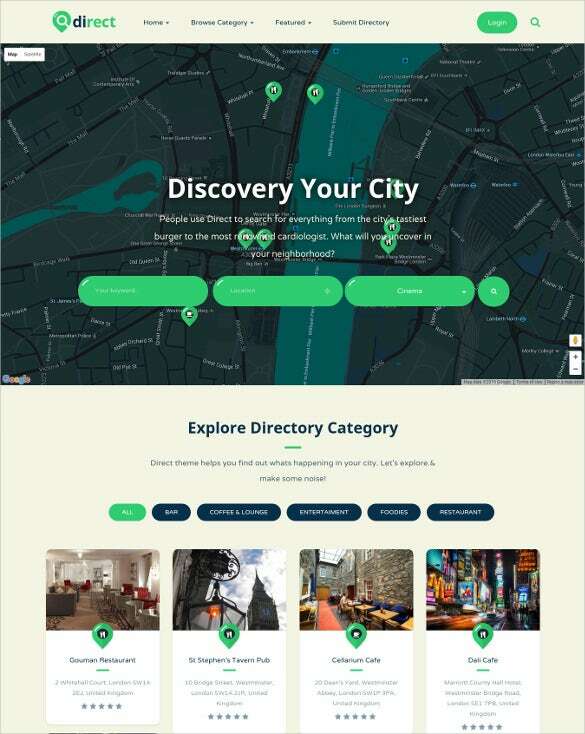 Directory and Listing Builder is an advanced listings responsive WordPress theme dedicated to classified ads, restaurants, hotels, events, etc. It’s one of the most universal directory WordPress Theme in the market. 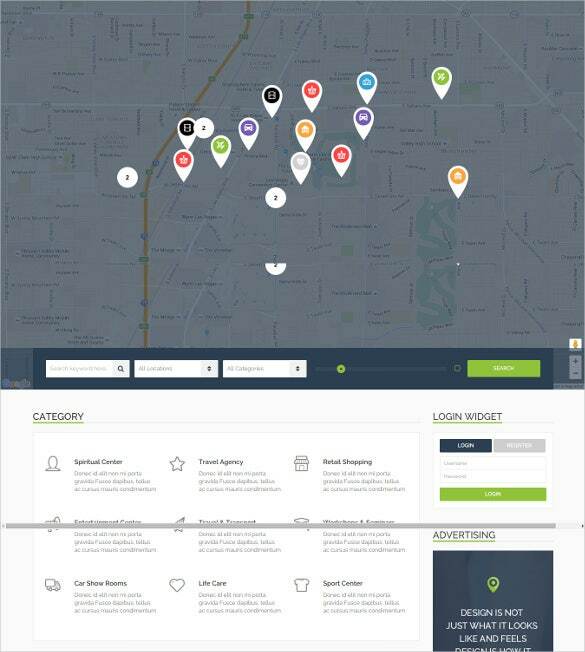 Business Directory & Listing is a responsive WordPress Template helps you create any kind of listing website. 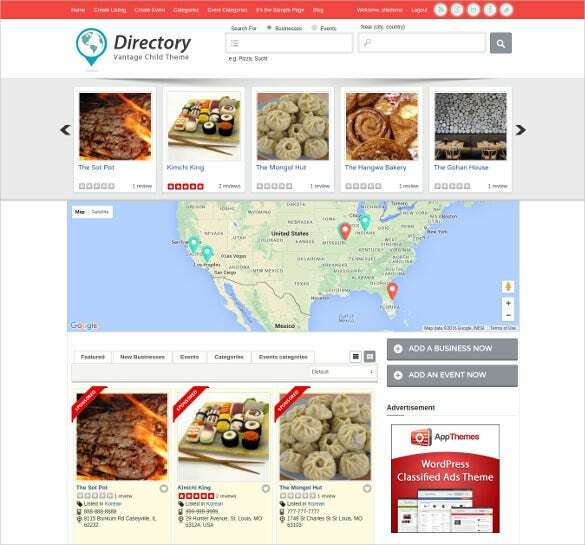 You can build local/national directories, classified ads, restaurants, hotels, events , Yellow-Pages style business directories, etc. 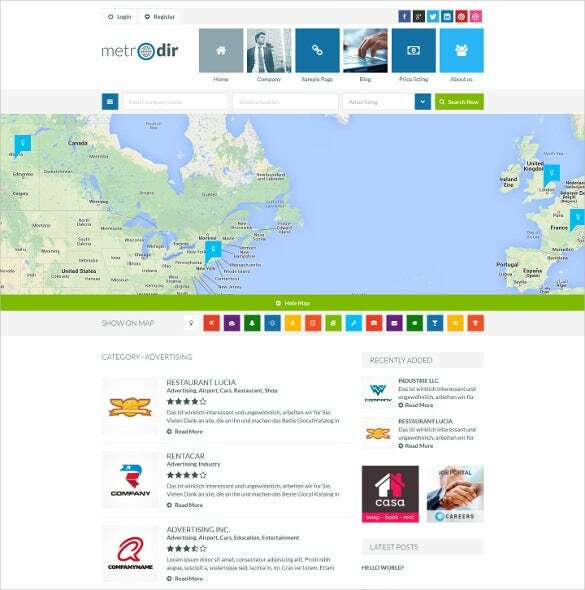 Directory & Listing with Dashboard Theme is made keeping the end user point of view in mind. Here You can, register, login, edit your profile, submit listings and Filtering , etc front-end without having to visit the WordPress dashboard. 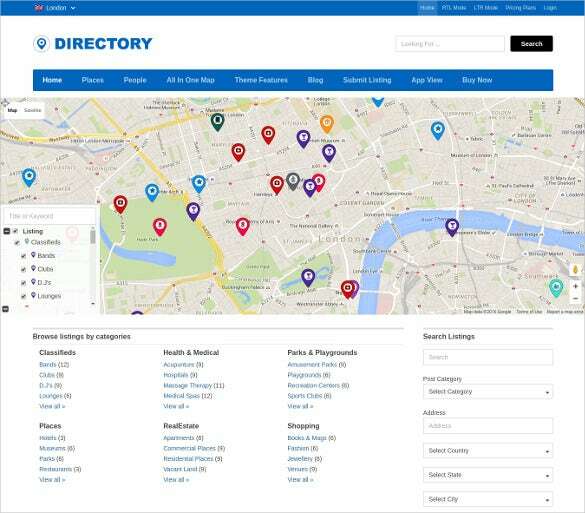 This Free Directory & Listing theme is fully responsive and also has an excellently crisp-looking design. 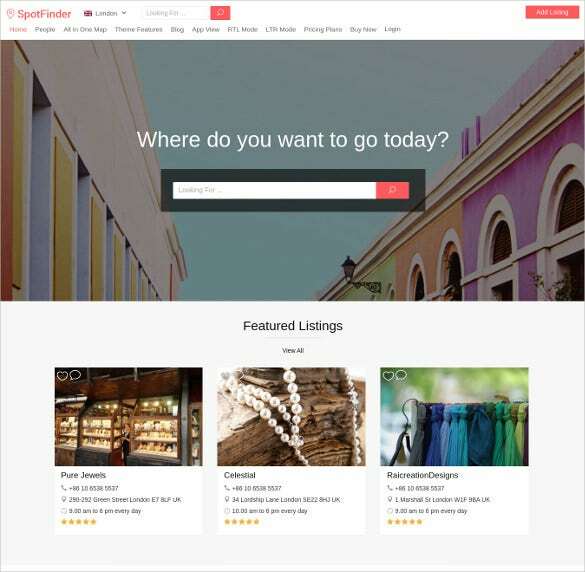 The customization settings very easy to follow and so you can have your business listings submitted and go live on the website in no time at all. Plus, the theme is also stacked with attributes such as custom background, custom header, menu positions, custom post types etc. 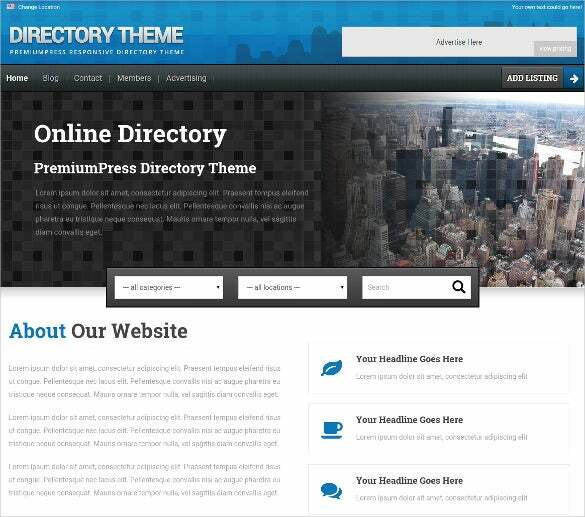 Directory & Listing Portal wordpress theme is a pure multi-purpose. 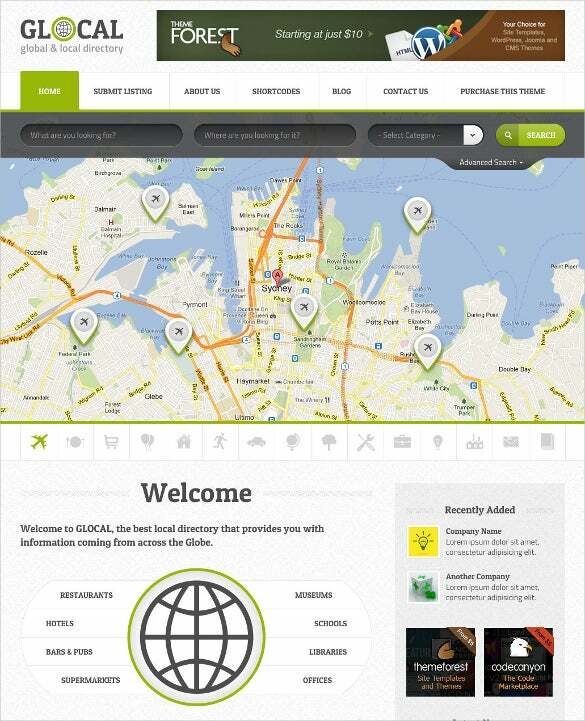 It is one of the BEST directory theme around, but it can also be used to make a standard website. 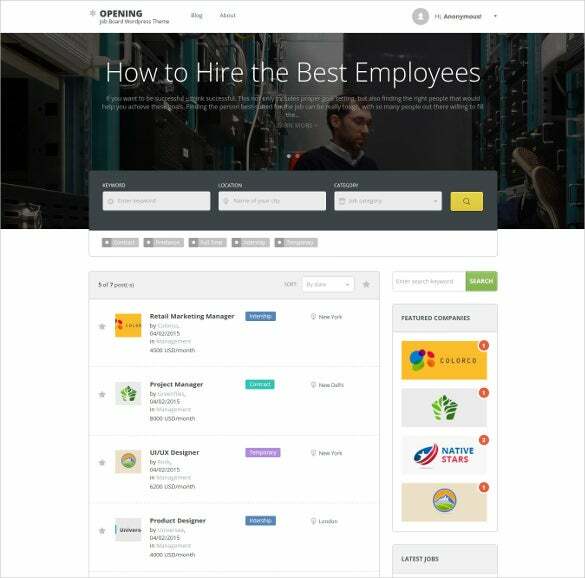 If yours is an employment-specialized directory listing website, this WordPress template would be the most fitting choice for the job – in manner of speaking. The template is especially designed as a connecting platform for employers and job seekers. 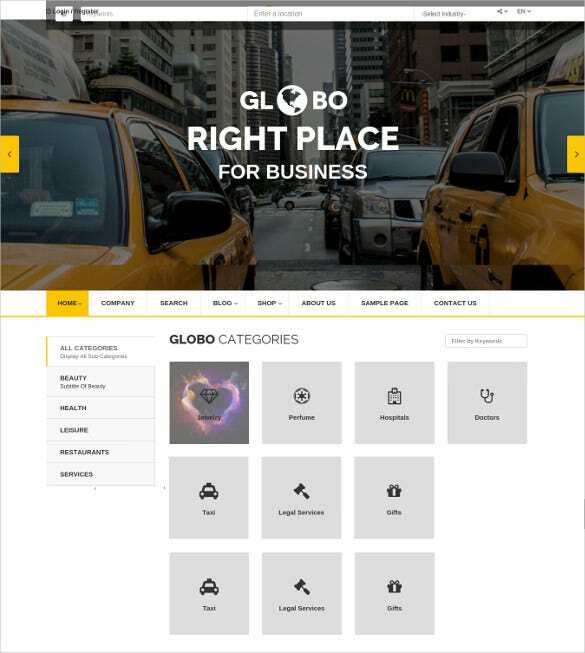 In terms of specifications, the theme has 4 home-page variations, it has a 960px grid-layout and is supported with free fonts. 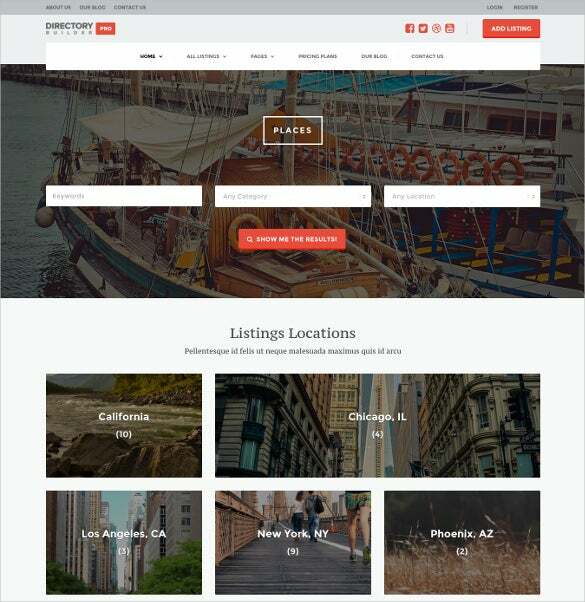 Corporate Directory & Listing WordPress Template is has a lot of advanced features like google map, Filterations, advanced page builder, two minute setup, it is retina ready and has an Responsive layout. 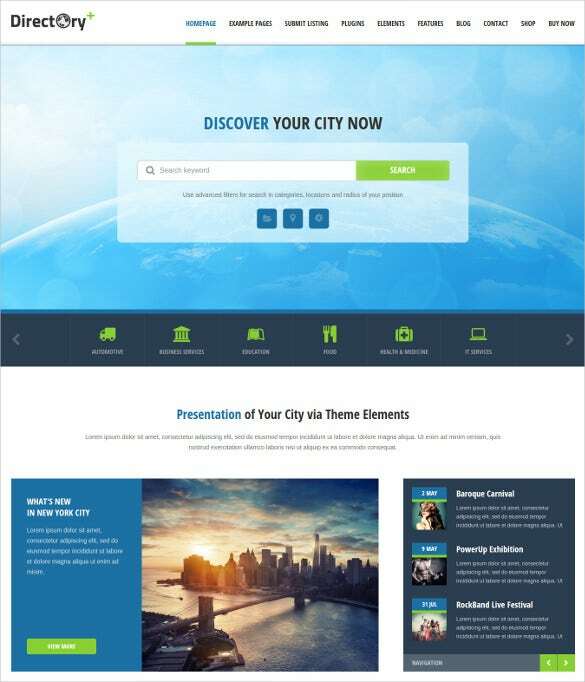 Website developers, blog writers, content developers, graphic designers, SEO consultants, and business professionals will find these templates perfectly apt to work with. 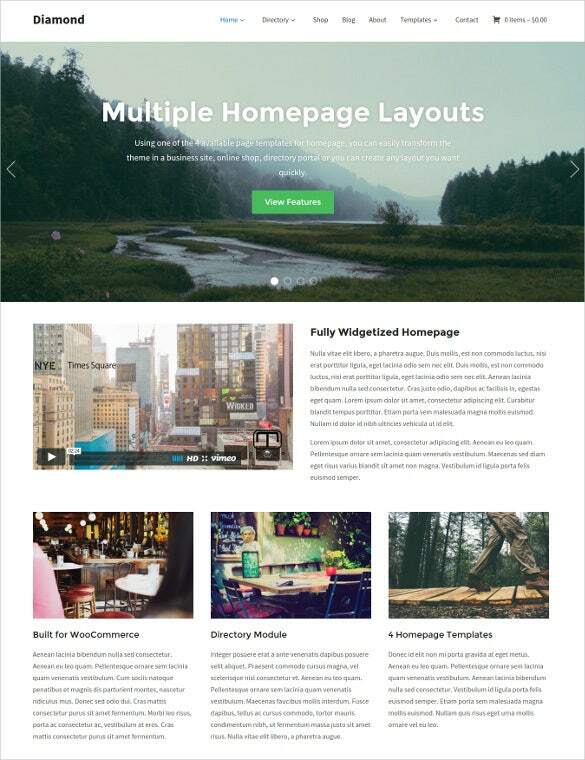 These templates are loaded with advanced page builder integration, Google fonts typography, advanced filtering, geo-location implemented, unlimited coloring option, premium revolution slider, and unlimited sidebars as well tons of widgets.